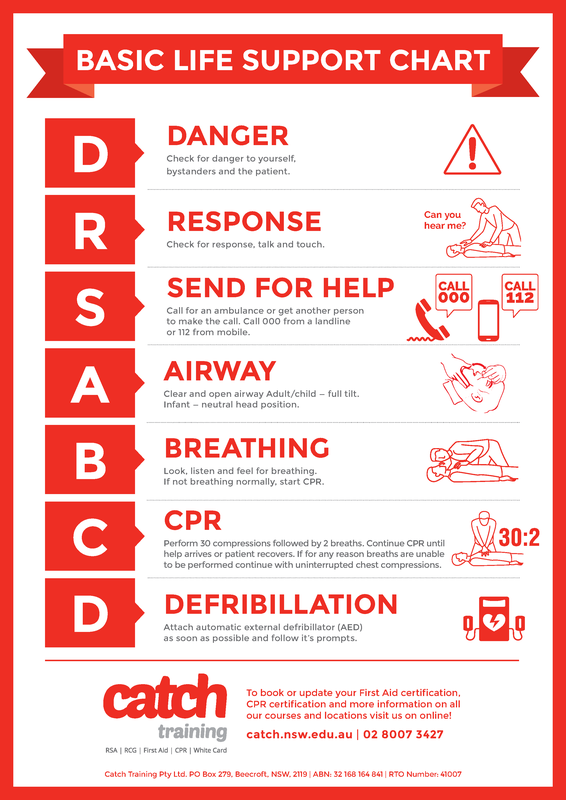 Please find below the Cardiopulmonary Resuscitation DRSABCD / CPR poster free printable. Just click the image to download and print it. Then mount it somewhere noticeable such as around pool areas, near a First Aid Kit or a notice board. 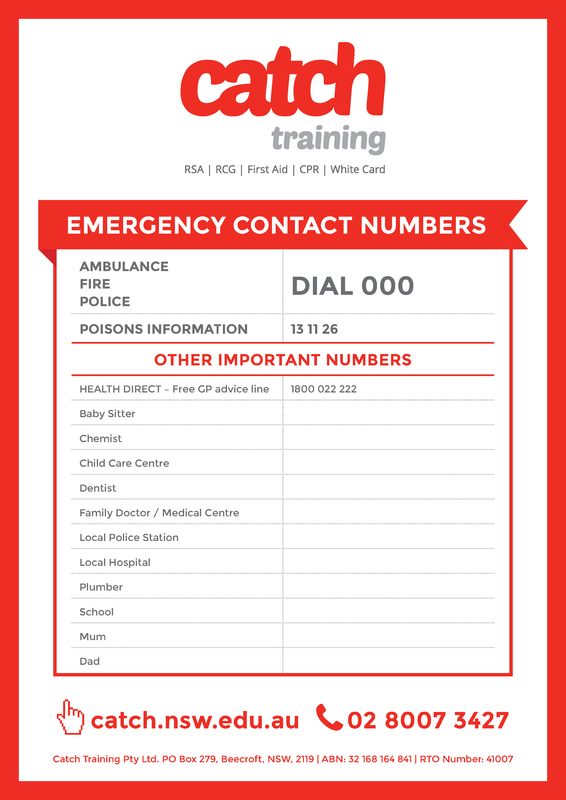 Please find below the Emergency Contact Numbers poster free printable. Just click the image to download, print and complete with your important numbers. Then mount it somewhere noticeable such as the fridge or a notice board. Please find below the Australian Resuscitation Council approved Automated External Defibrillator poster. Just click the image to download and print. 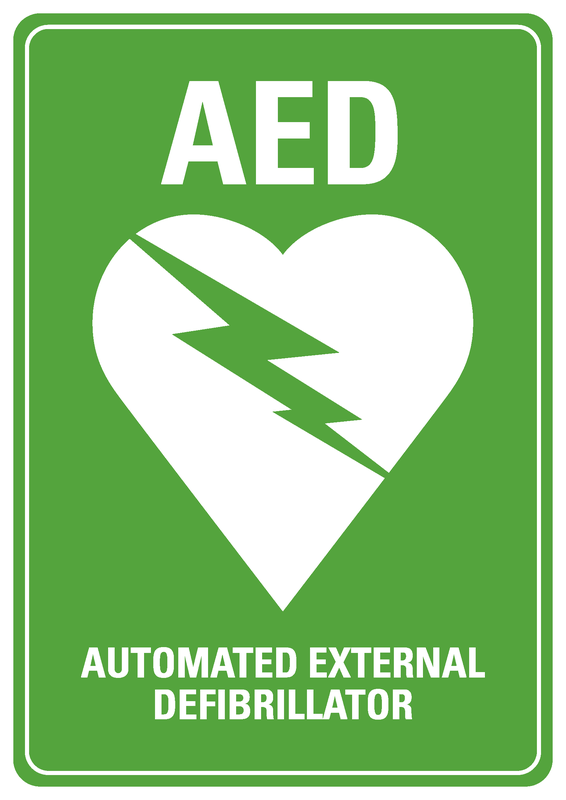 Use it to show where the defibrillator is kept within your organisation. Please find below a free First Aid Kit Here poster printable. Just click the image to download and print. 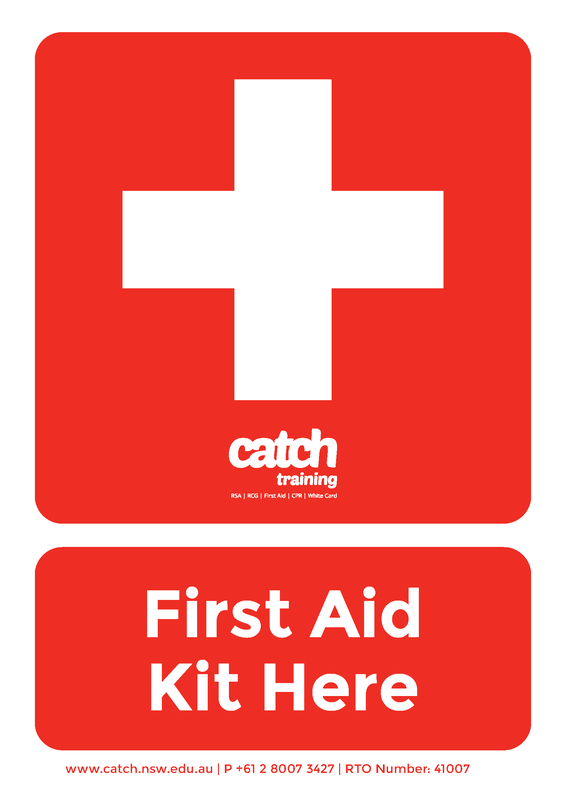 Mount it to show clearly where the First Aid Kit is kept within your organisation.